Single digit temperatures combined with gray days and lots of work obligations have really put a damper on my birding efforts lately. 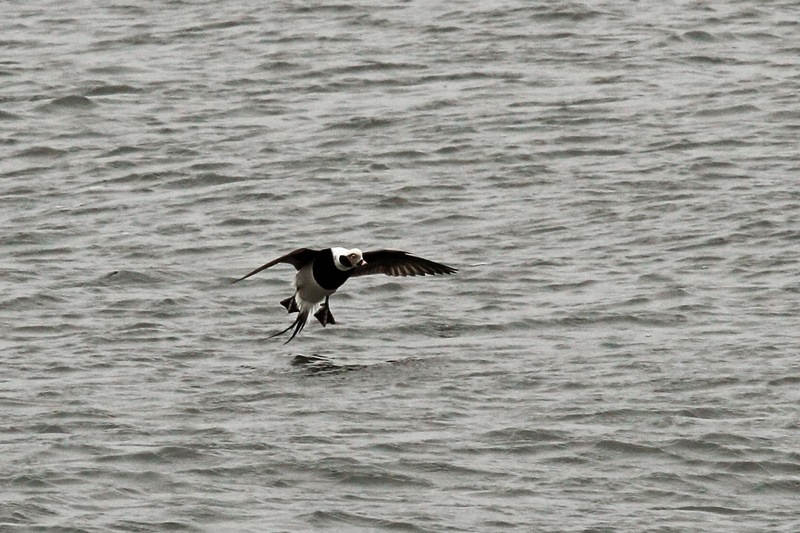 I did manage to get out yesterday to chase a Thick-billed Murre with my friend Marty. 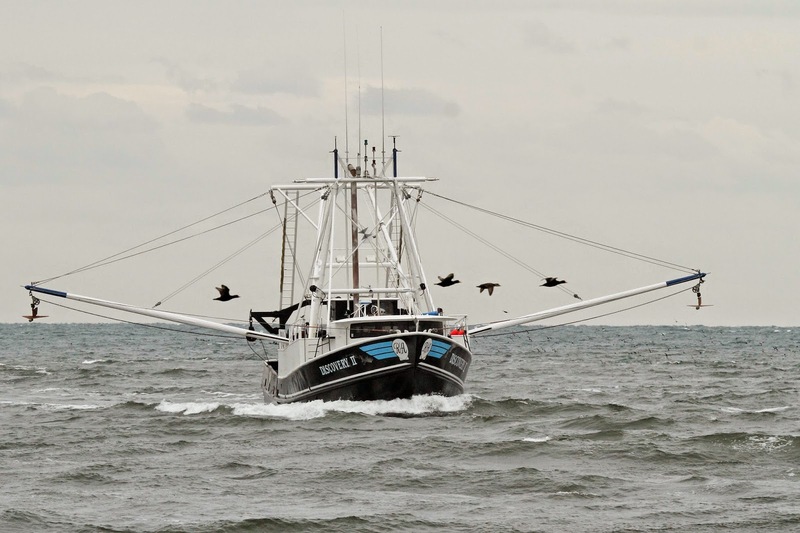 No luck on the Murre but we did get to see some other cold hardy birds at Manasquan Inlet. You can tell why this bird is called Long-tailed Duck. 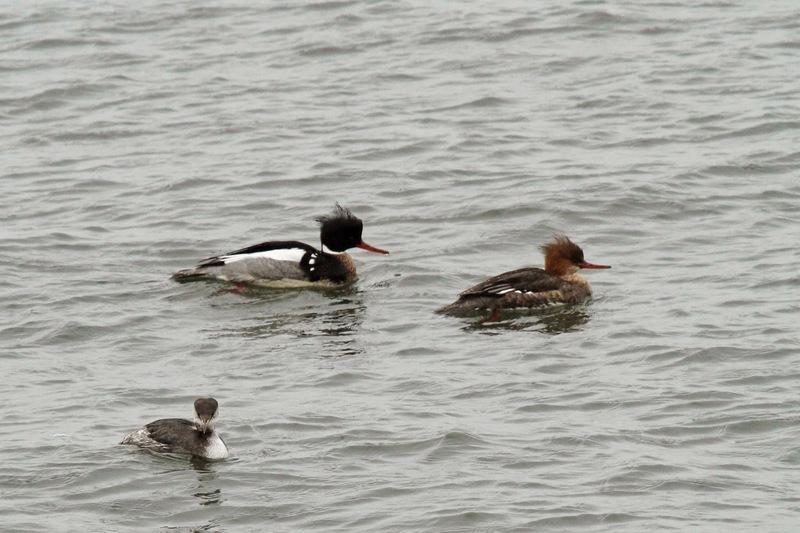 Here is a Red-necked Grebe floating past the jetty with a couple of Red-breasted Mergansers. Thousands of Scoters were offshore - Black, Surf and White-winged. Here is a small sample of the flocks. 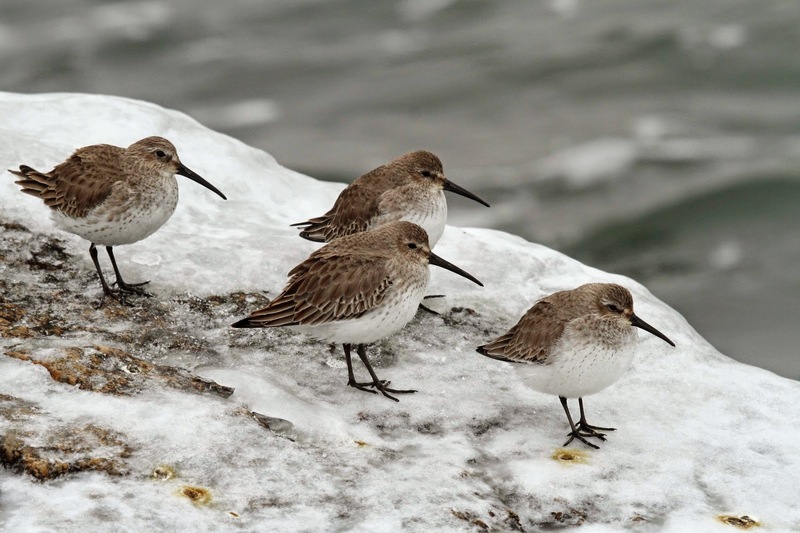 It is pretty amazing that all of these birds can survive the frigid temperatures. 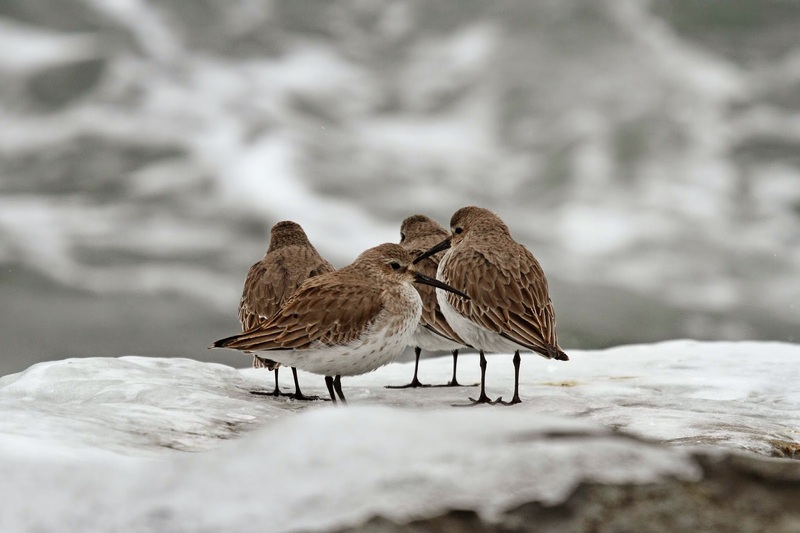 Here are Dunlin huddled together on the ice covered rocks of the jetty. 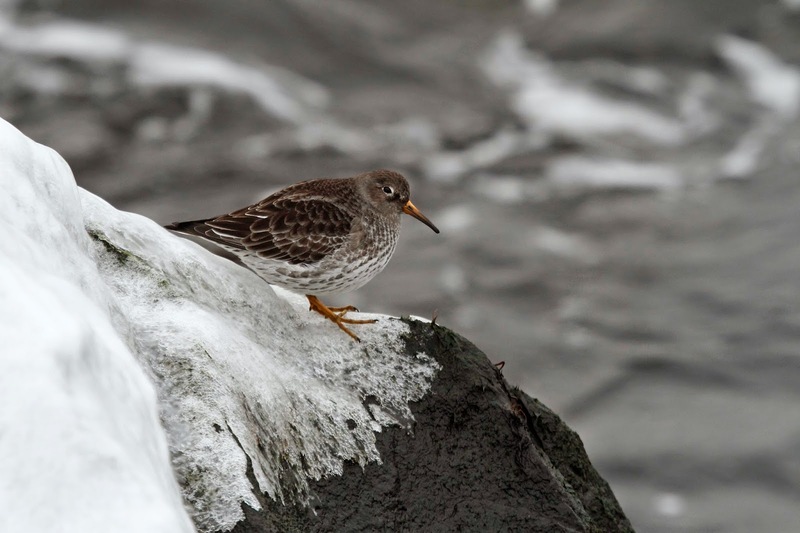 Here is Purple Sandpiper hanging onto the ice too. The birds were not the only frozen things on the jetty. Marty and I were braving the elements too. Waves splashing against the rocks. This was supposed to be a photo of another grebe. 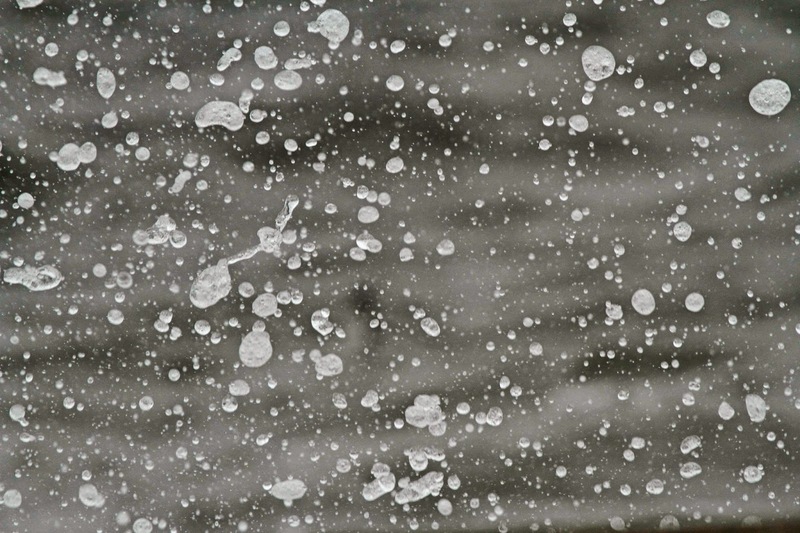 My camera changed focus as the wave crashed. Just when I was wondering how crazy we were to be standing on the frozen jetty waiting for a bird to show up, this guy showed up. See, I'm not as crazy as you thought.